My last post was about a baby shower I did recently, and now that it's over I have two more parties to think about. 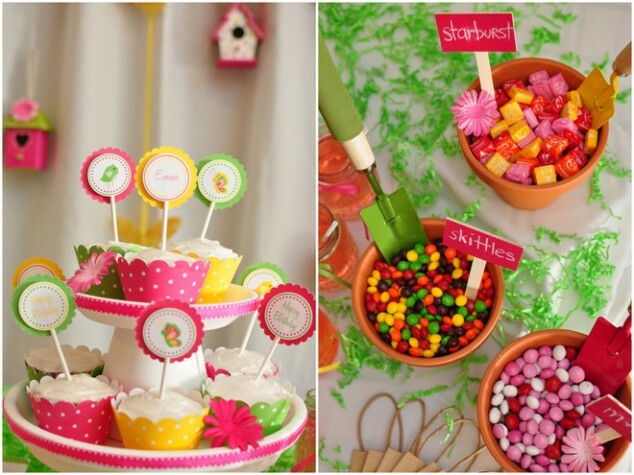 The first is a garden themed party that Paige's friend Sarah is having. I'm helping with the decorations, which should be so fun! And maybe a special flower hat for the birthday girl? Martha's poms are a duh. 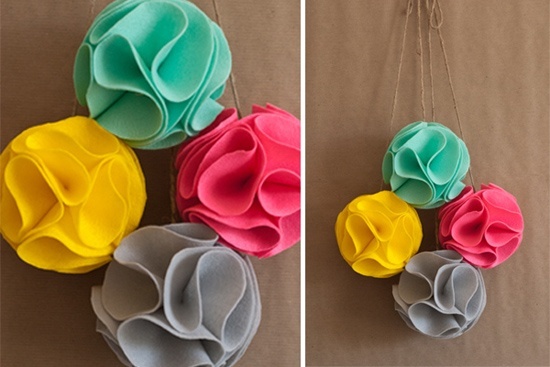 I think I'll make them in different colors with green streamer "stems" hanging down. 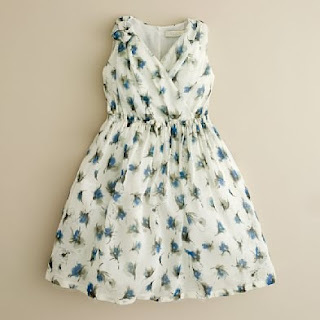 I think that would look cute! 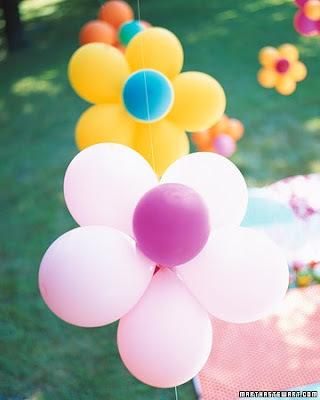 Balloon flowers are a great outdoor decoration! 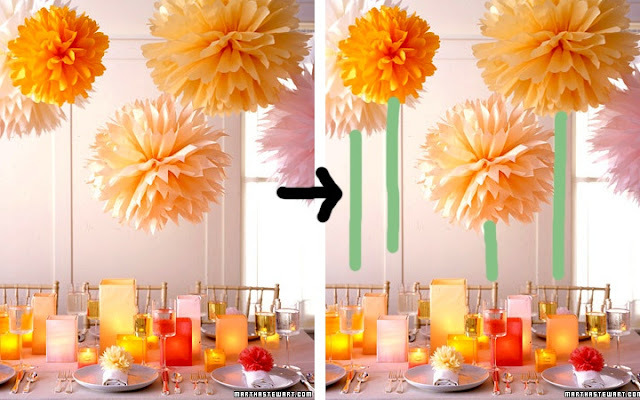 And these folded paper flowers (here's my tutorial) are so simple to make! 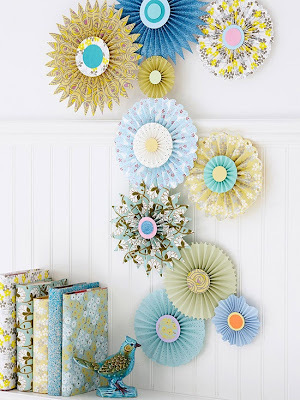 And I think I'll make a few felt flower collars, too. Looks easy enough! Won't that make adorable photos?? 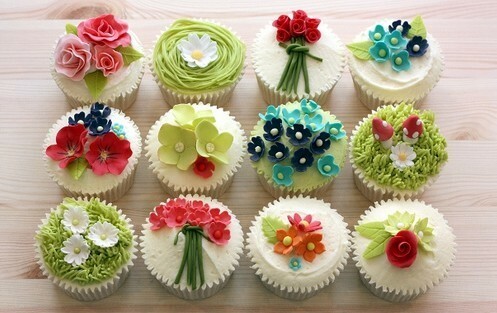 These next few cupcake ideas are totally out of my range of abilities, but seriously: HOW. CUTE. 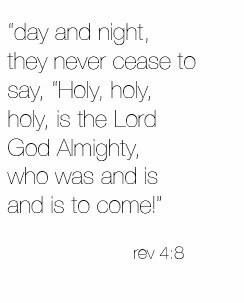 are they! These ones with the chocolate dirt just kill me. 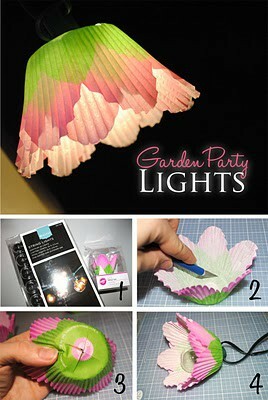 This is a fun idea for green Christmas lights. 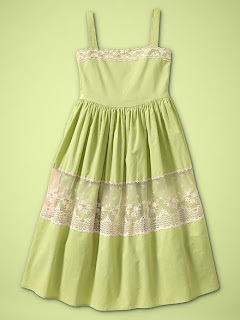 Maybe not practical for a daytime party, though. 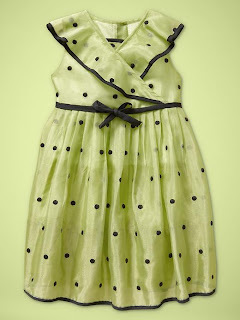 And lastly, the most important part of a party--what to wear!! 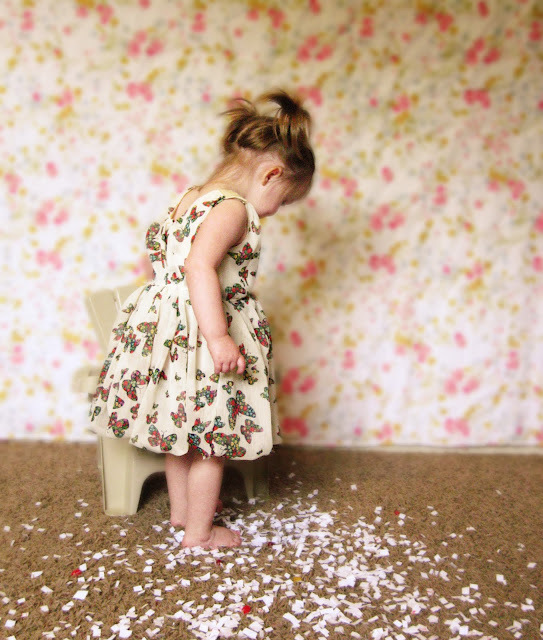 I couldn't help sharing these adorable garden party perfect dresses for little girls. 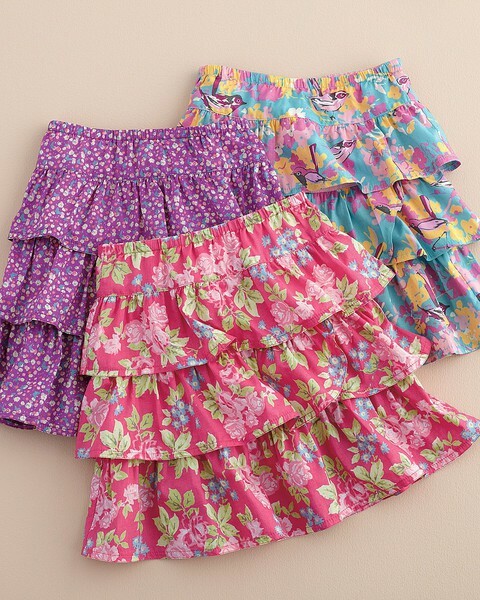 If I had time I'd make skirts like this for all the girls. So fresh and springy! I love the one with the birds. 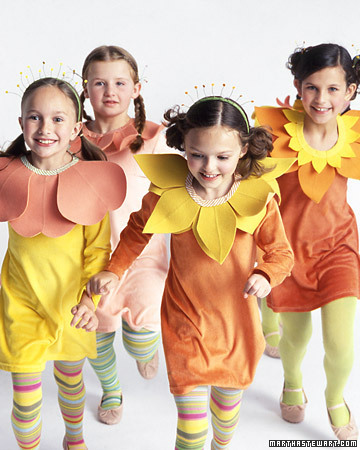 And these from Gap Kids. I WANT THEM!! I love the celery green. 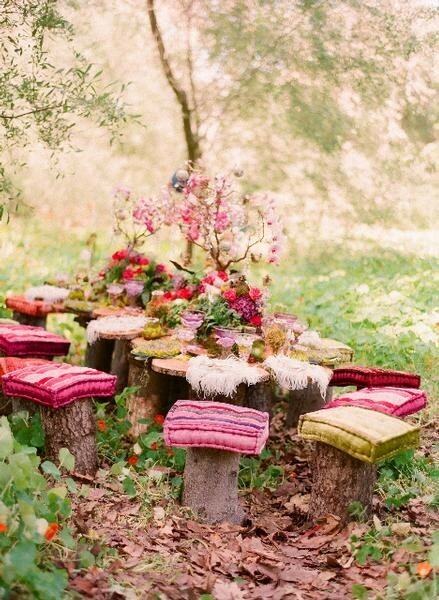 Doesn't a flowery garden party sound like heaven right now? I love spring. You should plan one! Seriously! You don't need a reason. Just grab your best girls and have a little one in your back yard. It would be so spontaneous of you. 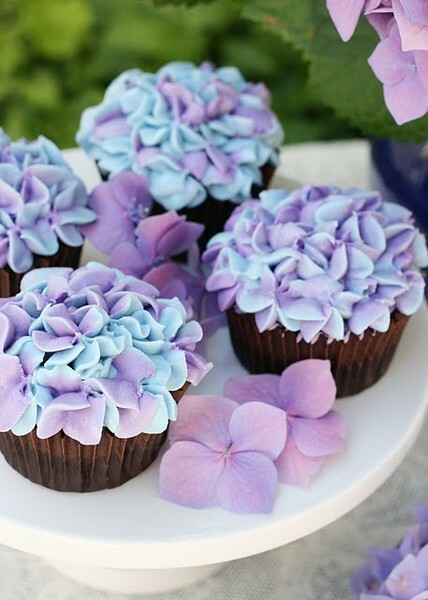 I also could never make those cupcakes, but they look amazing- too pretty to eat. 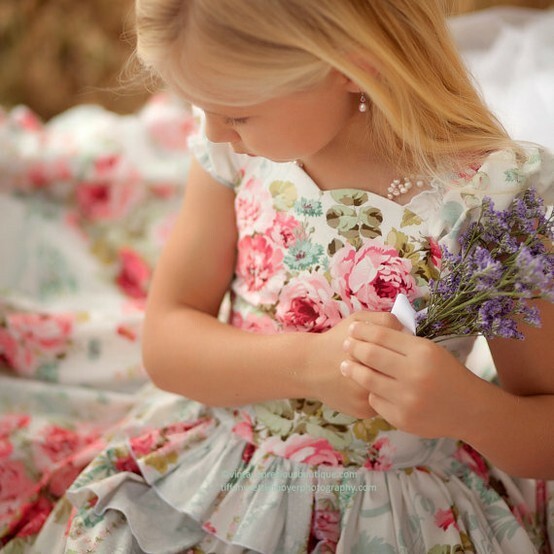 Those flower collars are a must! The girls would all look so cute! How beautiful! 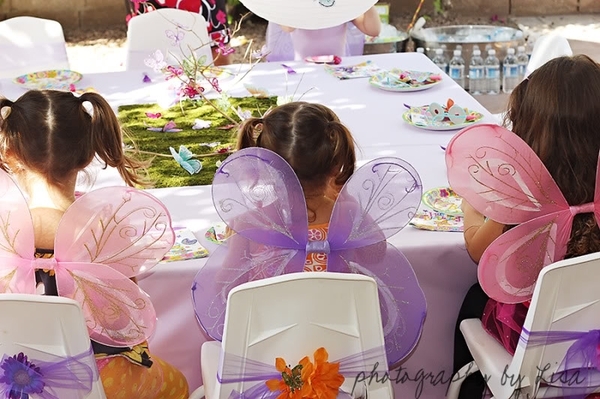 We hosted a garden party bridal shower last year. My sis printed out two pictures each of several different butterflies from the internet and glued them back to back with fishing line in between. 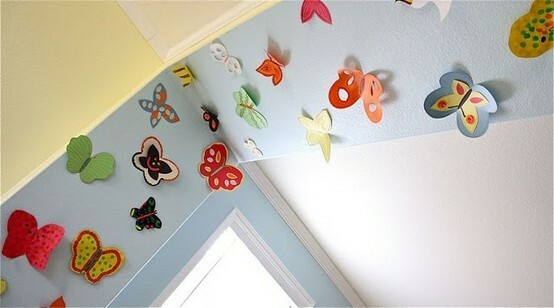 Some single and some with three or four butterflies to a string then hung them from the trees. They blew around in the wind and looked exactly like butterflies flitting about. It was a lovely effect! Can't wait to see what you and Paige came up with! 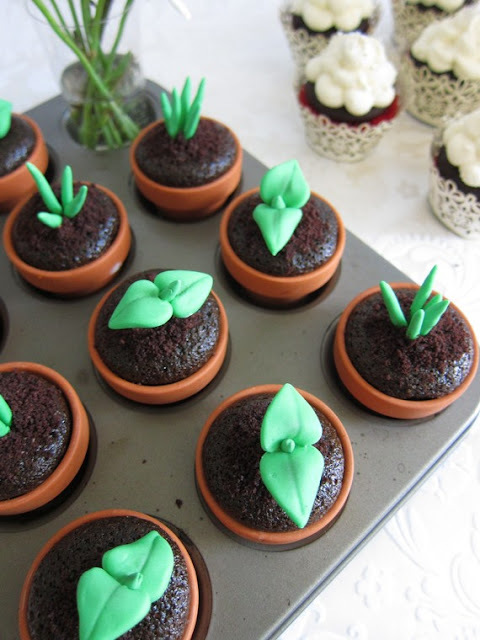 Love these ideas, especially the green shoots and leaves in the chocolate cupcakes. I can't believe Paige's birthday has come around again, it seems like only yesterday that I read about her party last year. After I found a $2 bumble bee costume after Halloween I decided my daughter's first birthday in August is going to be garden themed. Thanks for all the ideas! Do you have the link to the flower cookies? It seems to be the only one that isn't linked, and the one that I want to see the most, lol. Really want to see how they look after being baked. Oh I found this blog post on the flower cookies. 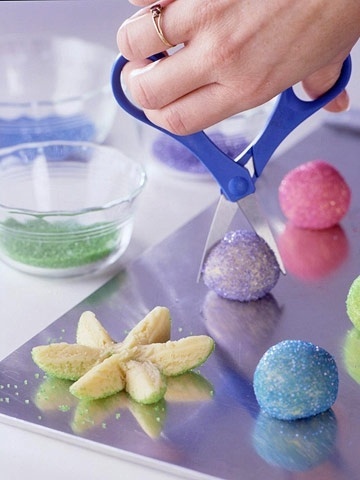 I like the flower cookie idea! This blog is a great help for me being in charge of the food for our party in catering suffolk!